Charity: All proceeds go to ORBIS Ireland. By supporting ORBIS you will help eliminate trachoma, a blinding eye disease in ethiopia and ensure the next generation of children do not grow up in darkness. Registration: Registration at Star Sailing & Adventure Centre from 9.30am To pre-register contact Ellen on 086 0628755. 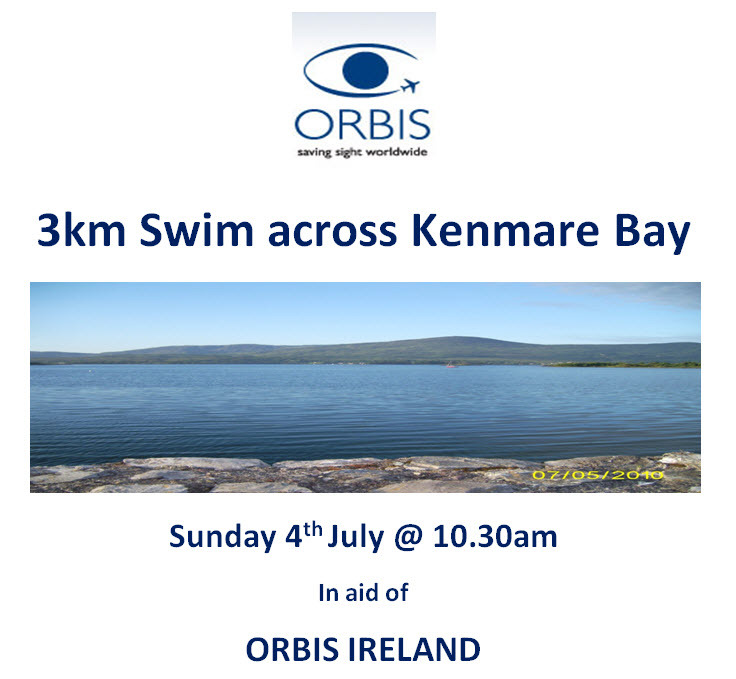 Please note there is a limit of 60 swimmers on the day so pre-register by emailing me to secure your place. Prizes and post event lunchtime BBQ will be held at Star Sailing and Adventure Centre. I, Ellen Vitting, am myself travelling to Ethiopia in November to take part in a 10km run in the capital city Addis Ababa and have a fundraising target of €3,000. This event will help me raise some of this money which will help save the sight of people at immediate risk of blindness and prevent the spread and development of this disease in thousands of people. If you would like additional information please contact me by responding to this email or call me at 086 0628755.